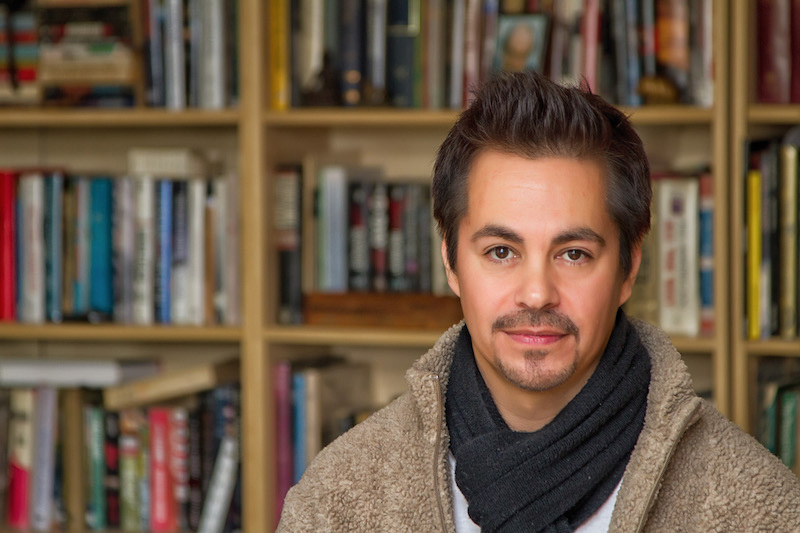 Carlos Villalobos grew up in Chicago playing rock music, harboring the same rock star dreams that so many young musicians have. 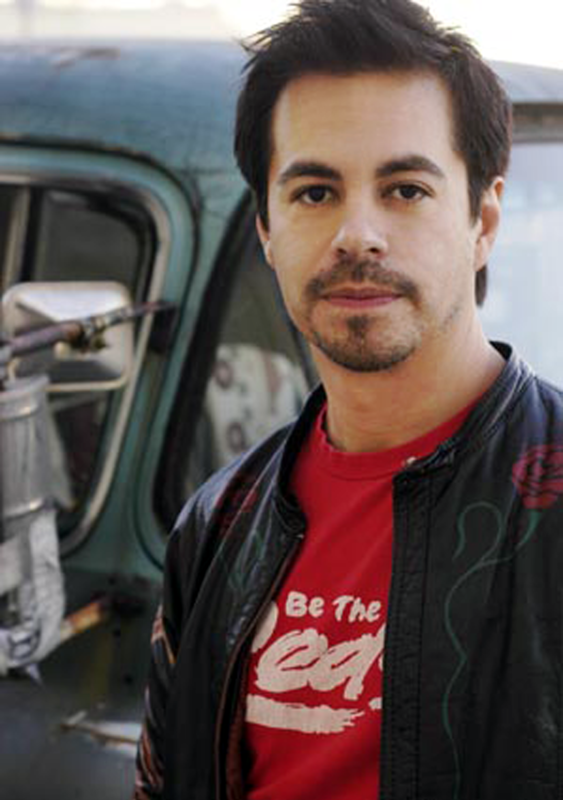 He played guitar, keys, bass, or drums with local bands in the mid- to late '90s, recorded his own solo flamenco music under the "band" name Esperanza, and wrote songs under the name CJ Villa. "In the beginning of my career, it became very confusing as to what and who I was, because I was doing a little bit of everything," he says. But ultimately, this broad set of skills, musical tastes, and Villalobos’ curiosity about all the different ways music can be made proved to be a great start to a media composition and production career. An opportunity to work in Hawaii later led to writing music for Baywatch Hawaii, which became his foot in the door to the wider industry. Today, he’s making music for Empire, Fox’s primetime show about a hip-hop record label that will be airing its fifth season this fall. Carlos has been with them since the first season. He's also creating a music library called "Dark Q's," working on new Esperanza music, and writing and producing for artists KIRSI, Sonic Head, and SuperLoaded. "I couldn’t pick one [way], so I kind of took the longer route to get where I was going. I didn't even know where I was going or how I was going to get there, but I think in the end it all worked out," he says. 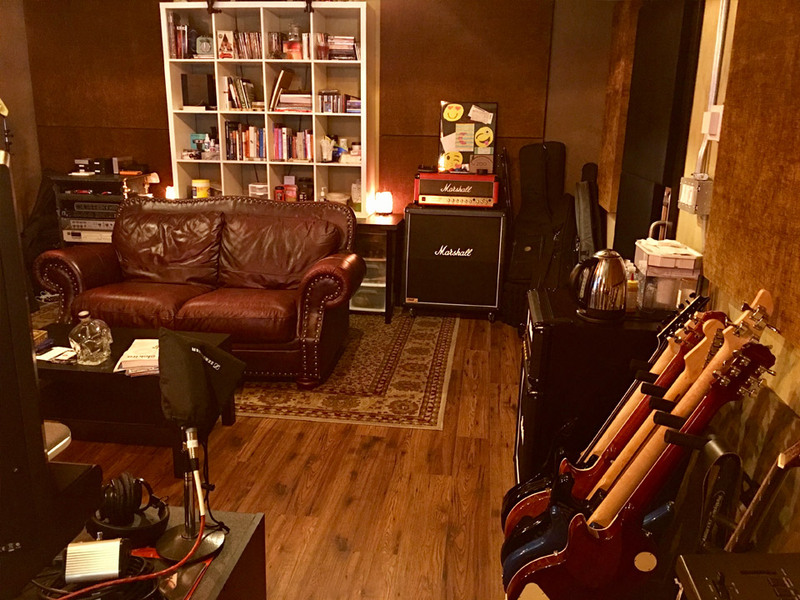 As part of our ongoing series of interviews with media composers, we took the opportunity to talk to Carlos about more lessons he's learned in his career, what music software and gear he uses every day, and his work recording bands and artists in his Chicago studio. For more information about Villalobos and his work, find his website here. What was your first media composing and how did you get it? In 1997, through a friend, I got a job as a recording engineer in a studio out in Hawaii. I wasn't getting paid a lot and I was just starting to get my foot in the door, but I had no formal training, so I accepted the offer. I didn't go to music school. I didn't have any connects really. So this seemed like an amazing place to start. While I was in Hawaii, I wound up working with local artists as a programmer, producer, engineer, and/or co-writer almost immediately, because when I got there nobody was really doing “mainland-sounding pop." Hawaii has its own market. I was working with all these super talented people, learning new styles, and playing new instruments. It was there that I started writing and producing island-pop songs, starting with Glenn Medeiros, and later Jalen and, of course, O-Shen. He became super big after we released his first album. After a couple of years in Hawaii, and my first record deal in 1998 with Esperanza being distributed through Virgin Records, I made the move to LA. I was in LA for almost 10 months when in June, 2000, I got a call about this show, Baywatch Hawaii. It turned out that the music supervisor of the show was an artist that I had produced a couple years before, Glenn Medeiros. The show’s executive producer had heard many of the artists I produced being played on the radio and asked Glenn to get me on the phone. I knew nothing about TV or film, so I didn't know to what capacity I was going to do things or if I would be any good. And, I remember at the time, I was playing with other rock bands, working on my own rock project [Angry Chiwawah], and that was the career route I wanted to take. Be in a rock band, tour, and make millions [laughs]. I called my attorney at that time and I said, "Listen, this show Baywatch Hawaii wants me to come on board to do music. I don't know if I want to do it." He said just make ridiculous demands and they'll say no and then you can move on. So, I thought I'd take his advice. I thought everything I asked for would be a deal breaker. But they said OK. I was like, What? NBC sent movers to pack up my house the next day, grab all my stuff—and within three days of that phone call, I wound up leaving LA to go back to Honolulu. I obviously didn’t ask for enough money or concessions [laughs]. I picked up a couple of books on scoring before leaving. And this was what? 2000. You couldn't really check out YouTube to learn how to do this stuff, because it didn’t exist yet. So, I remember spending my flight from LA to Honolulu reading all about how to sync to picture, the different methods, learning all about SMPTE and all this kind of stuff. When I got there, they said, "Dude, you don't even have to worry about that stuff. We take care of all that. 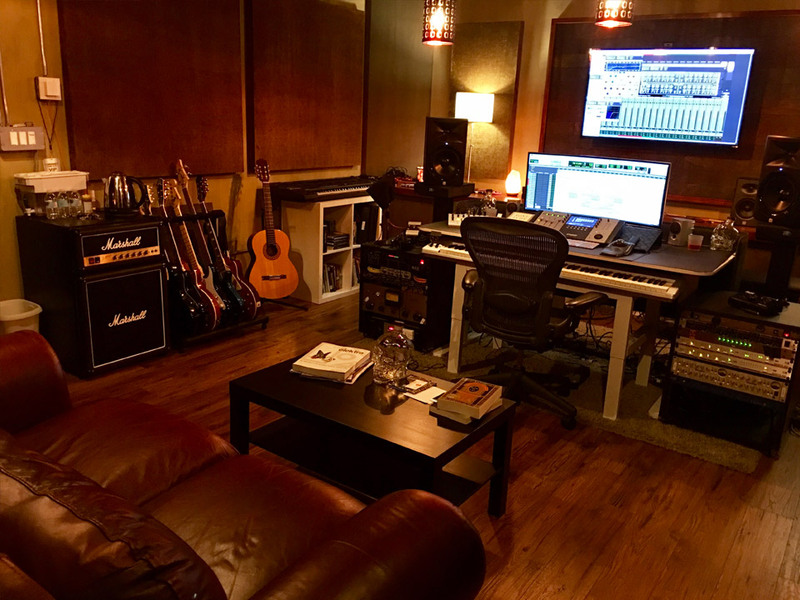 You're just doing an original song per episode with a local artist singing and we'll cut and edit your final mix and take care of everything." It turned out to be a sweet gig, a very lucky opportunity, because I got to get in and see how the TV industry worked. And I got to deal with music supervisors and know the crew and the actors, many of whom are still good friends. While I was working on the episodic songs, I was asked to demo a new theme song for Baywatch Hawaii for that season, which was the final season, and I wound up getting it. So, I actually did the theme song as well. And I was introduced to a whole new area in the music world. I actually started getting more and more interested in film music from reading the books I bought for my flight to Honolulu. I'm glad all that happened, that I didn't have to jump right into it so much, and that I actually got to see all the roles of the people who were working on a really successful show, who had been doing it for years. It was like going to school at the same time, you know? How has creating music for yourself or other recording artists informed your compositional work? "It's been pretty good collaborating because not only do I get a chance to experiment, I also get to see how other people do things." Well, it's always a learning process. For me, the more I can experiment the more I learn. And working with other artists is great, of course. I never was a big collaborator. I always used to do everything on my own. But I really learned to work with others during Empire sessions. It's been good collaborating because not only do I get a chance to experiment, I also get to see how other people do things. So, as far as creating music, it has definitely improved my composition work a lot because you're exposed to different styles and new ideas. How did your academic music education or lack of a formal music education inform your media career? I lack formal education on the music side. My formal education was your typical university education—I was planning to become a doctor. Basically, I was a science guy. I still am. I always had this curiosity to know things, so, I think that my lack of formal education in music and my formal education from the past led to my appetite to always learn, which set me on a good path. Most importantly, my goal was to understand the music industry and how it worked. From there, I was able to understand how I could apply a lot of the lessons I learned in life to a career in music. I read books, took online classes, and I taught myself to read and write music. I taught myself to understand composition. I taught myself how to understand the psychology and language of music as it pertains to creating emotion for picture. I taught myself to be open to suggestions and, most importantly, learn the business. I think my eagerness and enthusiasm has helped me become well-rounded. Also, every once in a while, I'll meet with a composer and just sit with them and talk or watch them in their studio environment and experience new ideas and workflows. It's always about learning. That education part doesn't stop, because our industry changes constantly and technology changes how we do things. And you have to keep up. What do you consider to be the most essential skill set, soft or hard, to have in your career? Patience [laughs]. Patience. I mean, that's number one, because you have to deal with timelines, or or people who may not be spot on with their instructions or scene explanations, rewrites, rerecords, sessions arriving late from another party, or a computer that’s acting up. You may have to deal with other musicians or other teams that may have fallen behind in delivery. And sometimes you may be off creatively, not at your best. You can’t be hard on yourself. You can’t stress. That’s where patience comes in. Just know it’ll get done and you’ll be fine. As far as all the skill sets that I would say are important: patience, creativity, and an affinity towards tech. Being tech savvy is really important. Oh, and being kind and considerate with your team. You have to respect and always be nice to people. What's the strangest request the director or film, TV producer has given you when describing the kind of music they want? Colors. I had a director who would talk to me in colors and shades to try and create moods. So, I was left kind of guessing what that director wanted. Like, "I want this scene to be purple," or, "I'd like to have this vibe kind of have a blue tone to it." It was definitely the weirdest experience. Somehow I got through it. It worked out. What's your studio setup? What instruments are you composing with? Favorite scoring software, music libraries, etc.? I'm a Mac guy. I have been toying with adding PCs as well recently and may do that for the Cubase Pro 9.5 station. My main machine is a 2010 Silver Tower Mac Pro 3.33GHz Mac Pro with 64 gigs of RAM, a bunch of SSDs and hybrid hard drives, and, of course, a ton of backup drives. A second Mac is a modified Mac Pro 2.66 Tower slave. For my DAWs I use Cubase Pro 8.5 and 9.5, Pro Tools 2018, and Logic Pro X with my Apogee Symphony setup with Apogee Rosetta 800s. I would have to say that Logic Pro X is my favorite, the most bang for your buck software. So I have that on my laptop and on my studio computer. Plus my co-writers on Empire use it as well as some of the bands I’m working with right now. 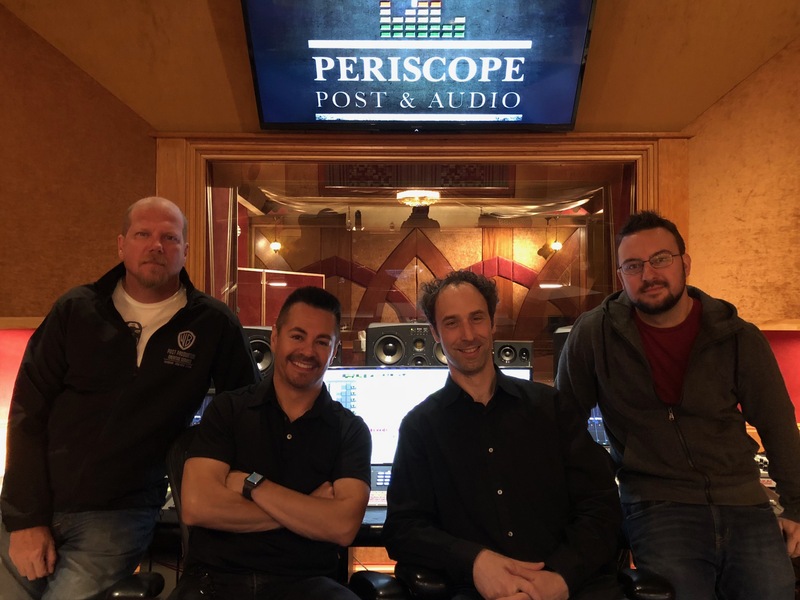 The Empire music production team: Periscope owner Michael Nehs, music producer and songwriter Carlos Villalobos, engineers Jason Neumann and Andrew Twiss. I started with Cubase in the late '90s when I started my music career. I really loved it and then I switched to Logic Pro X some years after because a composer friend switched to Logic and told me to check it out. I use Logic predominantly for scoring now. Cubase is second, which I still love, and I do all my mixing and stemming in Pro Tools because that's industry standard. As far as plugins, man... I have a lot [laughs]. I guess for composing I use obviously Spitfire, 8Dio, EastWest, Heavyocity, Native Instruments, OUTPUT, Arturia, Umlaut Audio, u-he, patches from The Unfinished, etc.—with a blend of MIDI keyboards and racks from Roland, Korg, Moog, Yamaha, Nord Lead, etc. And as far as processing plugins, I think I have them all really. I mean, from Waves to—oh my God, I think I have them all [laughs]. I have so many plugins. I just became one of these guys who started buying plugins left and right because several projects that I would work on had their own chains. For example, with Empire, there's a set of plugins we'd always use in the studio, so I wanted to have the same plugins in my studio. So, you have your Soundtoys. You have your Sonnox bundles. You have your Waves Mercury bundle. And these are all bundles too, right? And then for a different show, they might use the FabFilter Pro stuff, so I'd get those to stay compatible. It just became one of those things where I kept collecting plugins over time, working on different shows and projects. What would be the standout ones though? In the processing realm, those are all really top-notch brands you recommended, but what are some ones that are memorable to you? That, I've really always liked using this? As far as standout plugins, Soundtoys comes to mind, and Sonnox, too. In fact, I use the [Sonnox Oxford] Inflator quite often. I also love DrMS, Waves, Eventide, FabFilterPro. In Pro Tools, I use some of the stock plugins, like the Avid EQs and their Avid processing bundles. I use a lot of the included plugins in Cubase and Logic as well. I have to add that everything sounds so good through my Apogee setup. Apogee has been fantastic, and I'd gotten such great support from everyone at Apogee Digital in LA that I don't know if I could ever switch to something else, because whenever I have an issue, they just take care of it right away. They're an Apple company now too, right? So, they've kind of got that kind of umbrella supporting them as well. They definitely have amazing support. I switched to Apogee in 2007, so it's been over 10 years that I've used them. The Rosettas are amazing and the mixes that I do in my room sound incredible. I'm a Logic Pro person as well and it's really impressive what you get for 199 bucks—the reverb alone is worth the money, you know? Well, that's just the thing. Big bang for the buck! Logic has its host of plugins that are fantastic. Their EQs are great, their reverbs are great, like the new Chrome Verb, their delays are fantastic—and they just keep getting better. What's your general process? Do you come up with thematic concepts for characters, plot arcs, and build from there? Or how does that kind of look? Most of the time it does start with a theme and then it kind of moves from there. For example, sometimes I'll get picture and I'll write based on the mood of the scene. I will always think of a theme or feel the mood beforehand when I'm looking at something. Or if get a script prior to picture, which sometimes happens, I get familiar with the story first and learn who the characters are and mock up ideas. I remember talking to composers along the way and they would always tell me, "What you want to do is come up with a theme first. You want that theme and then everything else will sort of fall into place once you get the theme." Before, I never used to do that. I'd just start writing beds, with feel, thinking that was enough, but then you start to realize, Hey, wait a minute. My score doesn’t sound uniform and there's a central theme that's missing. So, I eventually understood what they meant when they said you should write a theme first and then do everything around that theme. Some other movies or shows don’t necessarily have a theme. It's more sound design composing, so it depends on the project and their needs. But I think over the last five years or so, for me it's been kind of a mix between traditional scores with themes and sound design/soundtrack scores. How do you choose register, timbre, or instrumentation for these particular thematic concepts? A director will usually have his or her ideas and we'll do a blend. For me, it just kind of comes naturally. I sort of instinctively have a feel for the picture. You know, I tend to be visual anyway. So, it can be a little easier for me to pick up on the emotion they may want. I don't really know how to explain it. But with instrumentation, usually the director already has some sort of idea they have in mind, like, "I need a flute." And then I take it from there. I'll figure out, do we make it a cool flute? Is it a dark flute? Is it going to have a lot of space design reverb? What does it represent? How are we going to make it fit and feel in the scene? How much of a battle is it to work with stock music or temp music that a director puts in—to create a new piece that encompasses what the director loves about the well-known place holder? Ah, temp music. I mean, it can be hard to get creative listening to someone else’s piece, but I’ve found ways around it. What I tend to do is I figure out the tempo, because usually that's what they cut to. The cadence, accents or phrasing play a role, too. They want certain elements or sounds that might be sticking out that the director really likes. For example, it might be those big horns or something that stands out that I find out they want. I haven't found temp music to be a problem for me. In fact, it helps. I find I can zero-in quicker on the sound and feel they are looking for in their movie. Unless they want me to directly rip it off, which at that point I don't take that chance at all. Have you found any go-to compositional moves or tools for protagonists, antagonists? What types of chords, intervals are going to work for suspense, loss, etc.? I'm into dark, sad chords, and moods. I also like angry rock-style sounds and tribal grooves. It varies. I haven't had one project that is the same. I worked with one director on two different movies that she did and both processes were completely different, which required me to sit down and figure out different tools and methods for each one. I've never really had this go-to sort of move or tool for really anything, which is probably a horrible answer to give you, but that's kind of how it's been for me so far. I tend to come into my projects with an open mind and a blank template ready to experiment. What's kind of a normal breakdown of your time during your day? How much time do you spend composing? How much time recording and producing? How much time securing work? "Even on my rare off days, I will spend at least a few hours reading something new, learning some kind of new tech, or checking out YouTube videos, because I think it's really important to stay ahead." In my case, it helps that I have a great team who are amazing and incredible when it comes to securing work, scheduling, taking meetings, all that kind of stuff. I used to do everything myself until last year, and it was impossible to get any sleep [laughs]. I'm also at a point now where a lot of my work comes from word of mouth, so I get calls directly from a specific director, project, or company, or my name was somehow dropped into a hat and I'm one of their choices. So, I’ll work on different projects daily. One day it might be composing. One day it might be writing with or producing an artist. The next day, it might be mixing another artist. It’s always changing. So, I have the fortune of not having a very repetitive workload. It's never boring because I get to do a little bit of everything from performing, producing, mixing, songwriting, and working on different genres of music. My days can be kind of chaotic and a little bit crazy, too. I can get bored just doing one thing musically. I like to learn and I feel if I don't move on to work on something different I might get stale. I'd say a lot of my time is spent writing. I'm constantly writing. That goes without saying. Even on my rare off days, I will spend at least a few hours reading something new, learning some kind of new tech, or checking out YouTube videos, because I think it's really important to stay ahead. What do you see as the future of media composing? That's such an interesting question, because things are constantly changing. I mean, as samples and libraries become better and better, there are going to be more and more composers out there working from their bedrooms. These new sample libraries—I don't know if you've heard the new Hans Zimmer library, the new string library. They're just getting so real sounding. So, as far as the future of composing goes, I’m not really sure. I think that Hans Zimmer helped bring back the live orchestra, which was fantastic. When I started out and heard orchestral samples in the late '90s, it was like, "Hey these samples are so good, they're going to replace musicians." And they might have, but I remember Hans Zimmer would always use a live orchestra to replicate what he was doing with samples, because samplers didn't have enough power to do that at the time, right? And it kept musicians working and it just sounded better. He was able to combine both the traditional orchestra with modern sample libraries and make it cool. Now, you look at a plugin like the Tina Guo cello plugin. I don't know if you've played with that, but it's amazing. I mean, it sounds like she's in the studio with you. If things continue to go that way, it's going to become easier for someone to press a key and have a killer riff come out of it, and now they're a composer. One thing I know we need to watch out for is AI composers. That’s coming. How long until AI replaces humans is the big question. All right. Let's see. Well, we just wrapped Season 4. So, I'm kind of back to working on my own music and producing other artists. And that's season 4 of Empire? Yeah. I've been lucky to be there since Season 1. We finished Season 4 and we will have a season 5. The show films in Chicago, and I've been working with local artists here, and I've been writing and producing with other artists and songwriters back in LA and in EU including Ricky Luna, Chief One, and a great female artist, KIRSI, is scheduled for later this year, as well as a band in Argentina called SONUS, and my Esperanza, Sonic Head, and SuperLoaded projects as well. But the one thing I really want to do is open an arts center in Chicago for kids. That's awesome. What is that art center going to look like? It’s still in the planning stages but it’s an all-inclusive center for kids to learn and experience music and visual arts. I’m really looking forward to helping out kids who want to get into the business of music or film and, hopefully, help prepare them to take the next steps towards their success.